Chip Aquadro's 2011 Cornell Genetic Ancestry Project involved the genetic ancestry testing of 200 randomly chosen Cornell undergrads revealed as great a diversity as was found by National Geographic Society's Genographic Project in 2009 in their "Human Family Tree" documentary sampling of people from a street fair in Queens, NY. In both cases, the 200 people sampled represented every one of humanity's major ancient migratory paths across the globe. 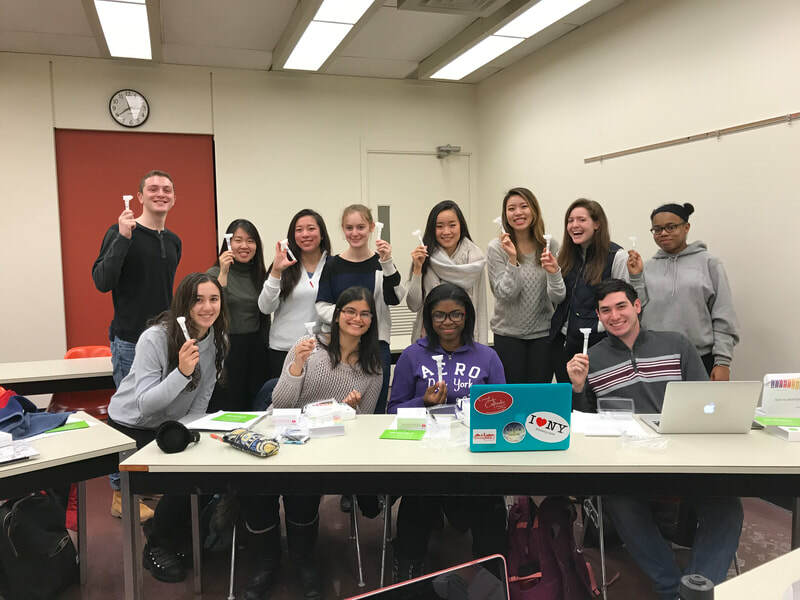 The goal was to engage the Cornell community to learn about and share in the discussion of the promise, challenges, risks, limitations and science behind genetic testing for ancestry and medicine, as well as the diverse social, legal and ethical implications raised by its use. An important goal was to foster respect for cultural diversity and viewpoints, while highlighting humanity's underlying genetic similarity. Jackie Bubnell has been active in the ManyMentor's program at Cornell. Jackie Bubnell and Miwa Wenzel have been active participants of the Graduate Student School Outreach Program (GRASSHOPR) at Cornell which pairs graduate students with teachers in Tompkins County and Geneva to teach 3- to 5-session mini-courses on topics related to the graduate student's field or interests. Teachers and graduate students share the benefits of exchanging ideas as they develop a curriculum, while K-12 students experience new mentors eager to share knowledge and excitement about their field of study. 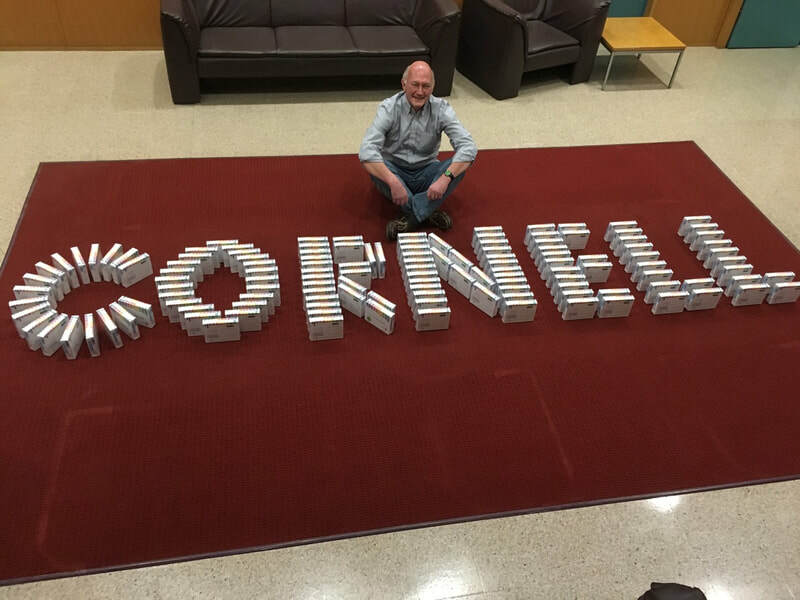 Chip teaches a large non-majors course in Personal Genomics and Medicine (BioMG 1290) every spring that draws 130 undergraduates from over 30 majors at Cornell. By building training on the foundations everyone understands (we all have two biological parents, four grandparents, etc. ), all of the fundamental principles of genetic ancestry inference, decent with modification (mutations on family trees), origins and spread of genetic disease, differences in prevalence among different populations, association mapping, and even the progression and mutational lineages associated with cancer and tumorigenesis can be taught in a manner that focuses first on intuitive concepts that may of the students already appreciate without bogging them down initially with all of the jargon. He has been raising the funds every year to provide all interested students the opportunity to do genetic ancestry testing (currently 23andMe). He has found that this opportunity makes genetics “personal” to each student, it substantially increases their motivation to learn genetic concepts, to think deeply about informed consent, and to feel the conflicts that can emerge in reconciling personal views on diversity, race and ethics with sometimes very different views of their friends, classmates and family members. The impact of such an effort magnifies on the classroom effort as students talk to their friends and family about their own ancestry results, the genetic principles underlying genetic ancestry inference, genetic testing of tumors and newborns, designer babies, and other related topics. Contact Chip Aquadro if you are interested in supporting this effort in any manner.